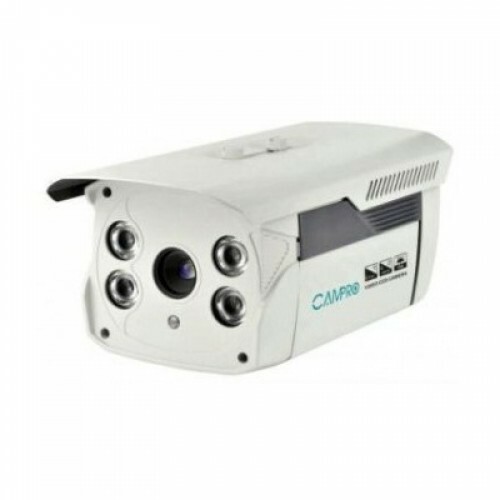 CAMPRO CB-FE100S CCTV CAMERA , Image Sensor: 1/3.5″ CMOS Super Lolux Image Sensor, Resolution: 800TVL, Picture elements: PAL: 1020 x 576 ; NTSC: 1020 x 480, Minimum Illumination: 0.1 Lux / F1.2, S/N Ratio: More than 48 dB, Gain Control: AGC, White Balance: Auto ATW 2500-9500 ° K, BLC: Auto, Gamma: 0.45, Sync system: Internal, Video output: 1 Vp-p / 75 ohms, Lens: 4/6/8/12/16/25.0mm, Operation. : -10℃~+50℃, Power Supply: DC12V ±10% Max 1000mA, Dimension: 280 x 128 x 112mm, Weight: 1650g. Warranty 1 Year.